How do you say thank you to your favorite educator? With free technology of course!!! Technology in the classroom helps supplement their learning curriculum by engaging students while instilling digital citizenship. The team at KudosReading came up with a cool idea for anyone wanting to gift a librarian, tutor or teacher. From 2/9/17 - 2/17/17 you can gift KudosReading to that special educator for the rest of the 2017 school year. They will be enrolled in the Junior program ($30 value) at no cost. This gives them access to all the bells and whistles. And yes.. they are pretty cool! All you have to do is fill out the form below! 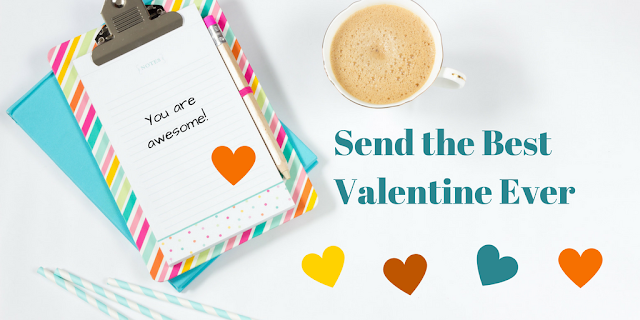 We will send them their e-valentine with your message! Thank you to everyone that sent a KudosReading Valentine! KudosReading is a website that supports teachers with leading book discussions and tracking reading comprehension performance of their class. Thank you for advice! The only thing is the new plastic is made more limber which can make it weaker. In the same light, richer countries have welcomed upcycling where poorer ones have not taken the initiative so quickly. Poorer countries are those that need to reuse/recycle products that are discarded more often and would benefit from upcycling. Unfortunately help with essay writing for college can't solve these problems and I don't know how can I help in professional way. KudosReading is a personalized reading platform that supports teachers and parents in leading engaging book discussions. We have a real-time discussion feed that uses state aligned questions set by you! Discussions are private closed groups of your classroom or book club ensuring a safe place. Kids also participate in our badge quest and vocabulary games to enhance their reading activities. KudosReading launched in January 2017 and we have been an essential tool for educators reinventing the literature circle. Our team consists of leaders in edutech, educators, game designers and book enthusiasts. Join our journey while we expand our platform and grow our community.